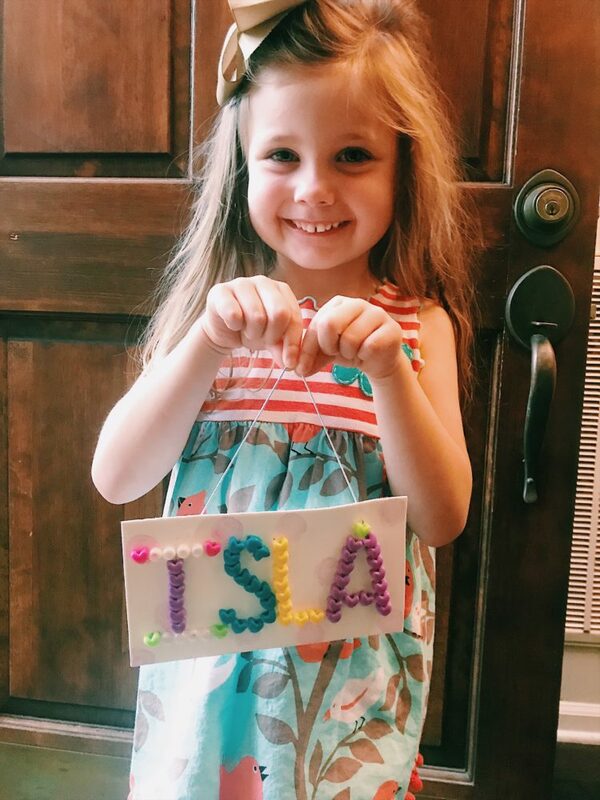 My kiddos love to make things for their room and they especially love making things to hang on their doors…drawings, paintings, crafts etc…they have never made a personalized door hanger though. You’ve probably seen those cute wooden kids door signs that have a child’s name on them. Those are very cute but can be pretty pricey (and let’s face it, the kids don’t care about the prices of things!) 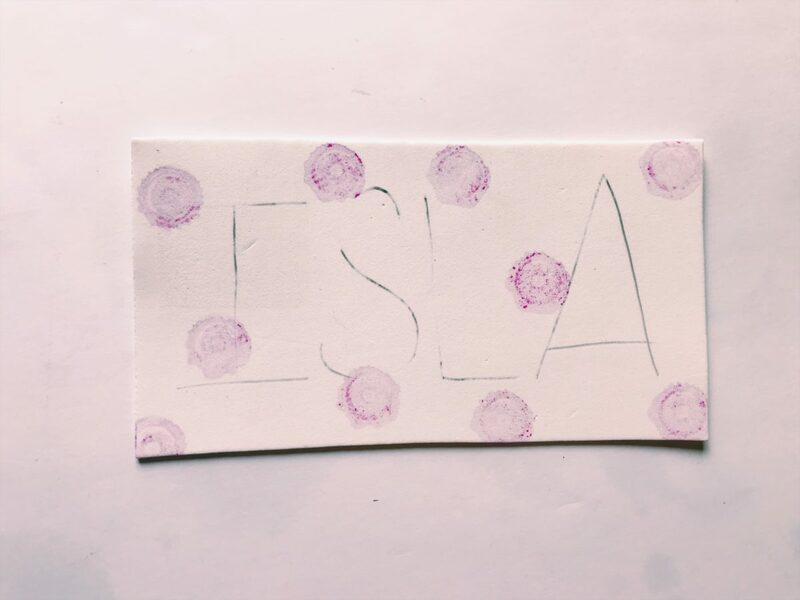 So we decided to raid our craft tub and make our own personalized bedroom door signs with supplies we had on hand. My kids had a blast and now have “name door signs” as they call them! Start with your foam sheet and cut out a rectangle. It can be small or large…whatever size your child wants for their personalized door signs. 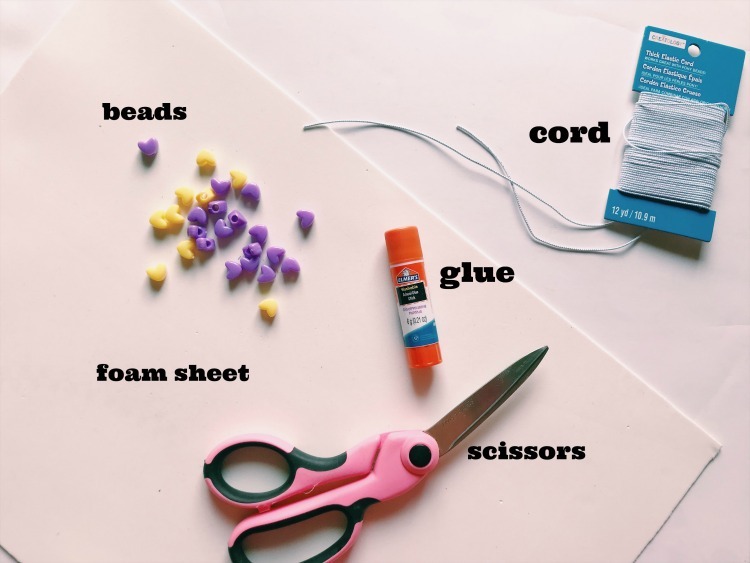 After you have your rectangle, it’s time for the beads but before my kids started gluing, I wrote out their names so that they could easily know where to places the beads. My daughter grabbed a dot marker and added some dots to hers before the bead gluing started. My kids mixed and matched beads and just made it their own so work with whatever beads you have! Let their creativity run wild! Isn’t that the best?! They swiped their beads on the glue stick before placing them on the door hanger. Once the beads are all on and their name is now all beads, it’s time to tape on the cord for the personalized door hanger to be hung by. Once that’s done, you can use command hooks and or tape to hang the kids room signs. 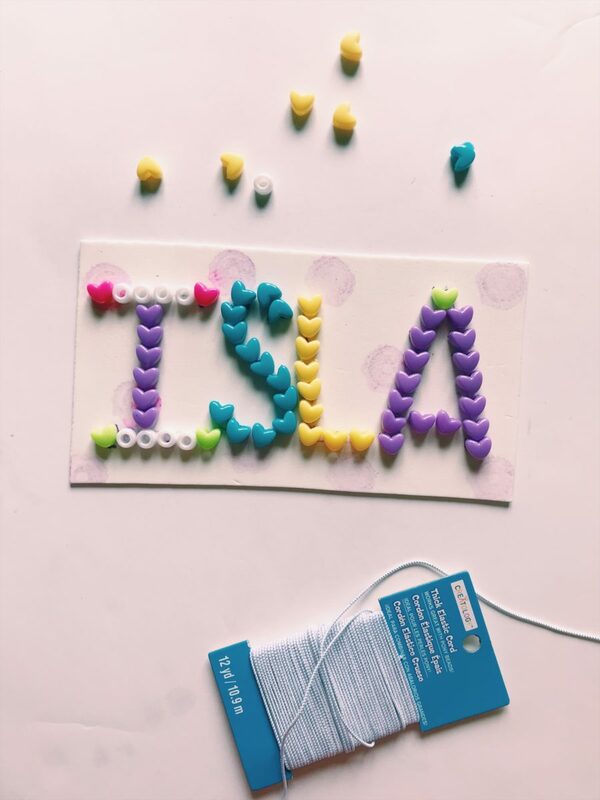 Does your child enjoy making name crafts for his/her room? 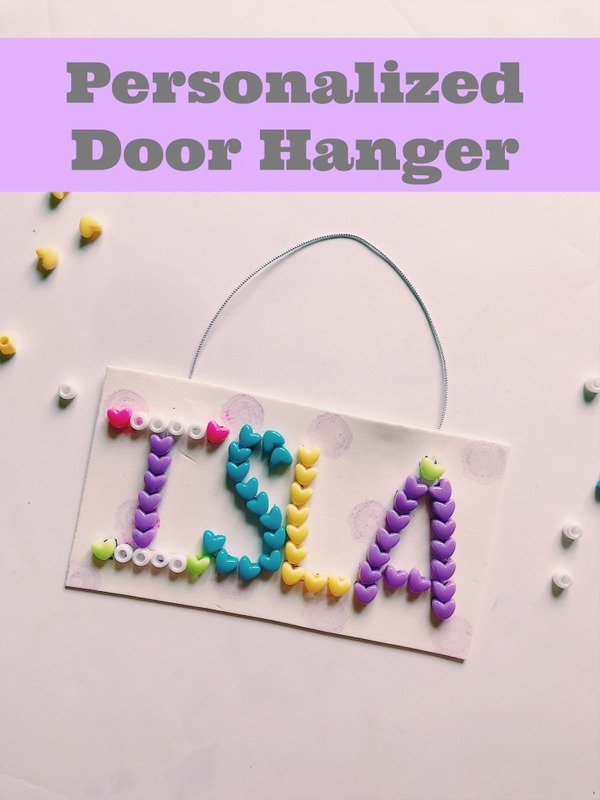 This is a great quick and easy craft to add a little personalization to your child’s bedroom door!